School: No Punishment For "Nazi Salute" Prom Photo - Joe.My.God. 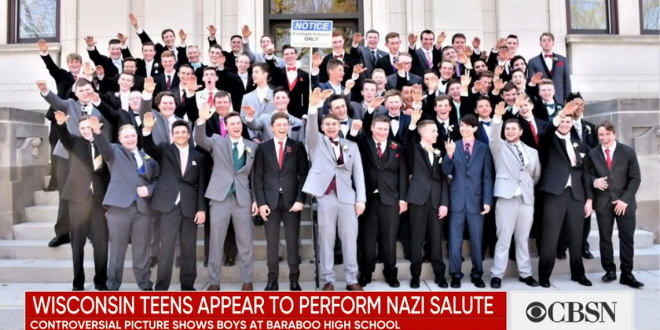 In a letter sent out Wednesday afternoon, Baraboo School District Administrator Lori Mueller indicated the district has finished part of the investigation into a pre-prom photo showing students making gestures associated with white supremacy. The letter, sent via student information system Infinite Campus, stated the 10-day investigation involving local authorities, parents and others has left “some key details” unclear. They were seeking to understand the events leading up to the photo being taken, as well as what happened after.